Tennet transferred 16.75TWh of power from North Sea wind farms off the coast of Germany last year — up 4.9% from the 15.97TWh produced in 2017. With the 2.35TWh produced by projects in the Baltic Sea — which is outside Tennet’s remit — last year (1.44TWh in 2017), in total German offshore wind farms generated 19.1TWh in 2018, up 9.7% from 17.41TWh in 2017, the TSO added. German offshore wind capacity in the North Sea reached 5,313MW by the end of 2018, up from 4,716MW at the end of the previous year, according to Tennet figures. Fellow TSO 50Hertz has not yet released data for Baltic Sea installed capacity. While German offshore wind production increased in 2018, it was a more moderate rise than the previous year. Production increased 47% year-on-year from 2016 (10.83TWh) to 2017 (15.97TWh). Tennet’s CEO Wilfried Breuer said this made it even more urgent to upgrade Germany’s onshore network and resolve bottlenecks. The German cabinet last month approved draft legislation to accelerate the expansion of the country’s grid system to better integrate renewable energy. Tennet, meanwhile, will install more than enough transmission capacity this year to fulfil the German government’s offshore wind ambitions ahead of schedule, its CEO believed. It currently has 11 operational offshore grid connection systems capable of transmitting power from 6,232MW of offshore wind capacity. Tennet CEO Wilfried Breuer claimed the TSO would connect the 900MW BorWin3 link this year, raising its total connection capability to 7,123MW. 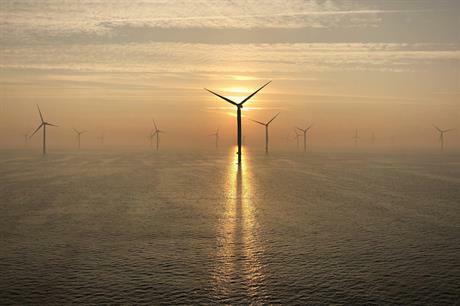 The German government aims to have 6.5GW of operational wind power in its waters by 2020. Breuer added that Tennet would be taking innovative approaches in future grid links — such as using 66kV export cables at its forthcoming DolWin5 and BorWin5 links. Breuer added: "We’re targeting predictability and greater cost-efficiency."